Signup for the Triangle Area, NC Vegan Pledge coming soon! 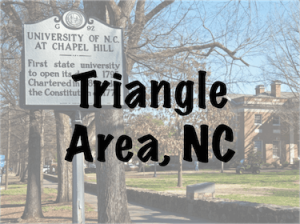 The Triangle Area, NC Vegan Pledge Program is always a success! We started off our first meeting with broad discussion of the meaning of veganism and its the far-reaching significance in terms of ethics and animals, the environment, and personal health and well-being. After passing out our vegan care packages, we were treated to a stellar cooking demo presented by our long-time supporter and passionate advocate, Linda Rapp Nelson. Ever tried kale pie? You should!! The following week Syl Kocieda joined us again to talk about ethics, animal rights, and intersectionality. As usual, her talk was engaging and galvanizing, situating veganism within the social justice movement. Our second speaker was Justin Van Kleeck who discussed the environmental necessity of veganism. Justin is also the founder of the rescue group, Triangle Chance for All. Finally, vegan chef Kevin Archer joined us for a fantastic cooking demonstration, giving us all the basic techniques to ensure a delicious stir fry dinner. Next, our resident nurse Stephanie Hodges joined us to for a discussion of veganism and nutrition, followed by a no salt, no sugar, no oil, entirely delicious cooking demo. Then the founder of the Piedmont Farm Animal Refuge, Lenore Bradford, discussed the facts that invalidate humane myths, like happy cows and free range. For our third meeting we were off to Whole Foods for a shopping tour! As luck would have it, we ran into lots of vegans doing their weekly shopping! Finally, we celebrated the conclusion of another Pledge with a potluck dinner. This potluck was extra special as we were visited by a special guest, Triangle Chance for All’s first rescue, the blind baby goat Nestor! This sweet guy is now living peacefully and happily at Full Circle Sanctuary in Western North Carolina. Another thank you to all our volunteers who make this Pledge possible!